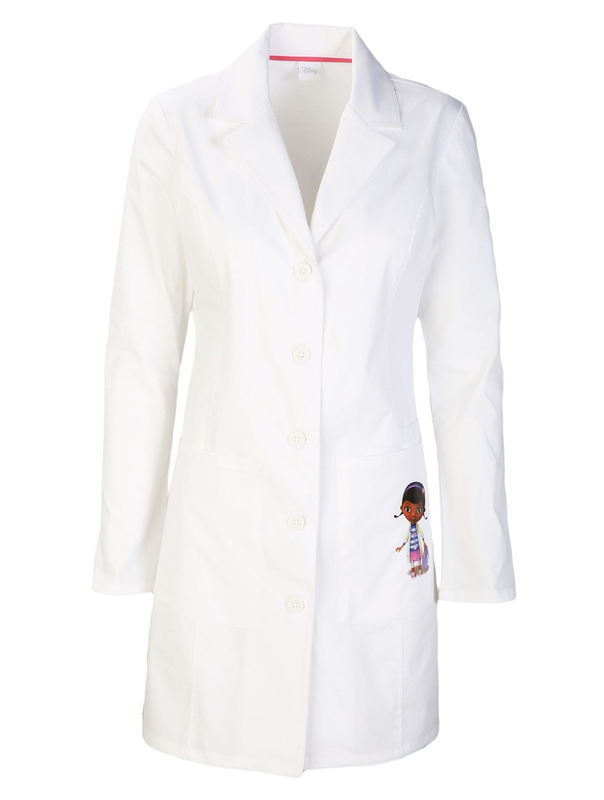 A Modern Classic fit notched collar lab coat features a cute heat transfer on the wearers left pocket. Two front patch pockets with pen loop above wearers left pocket, princess seams and faux back belt complete this look. Center back length: 33"